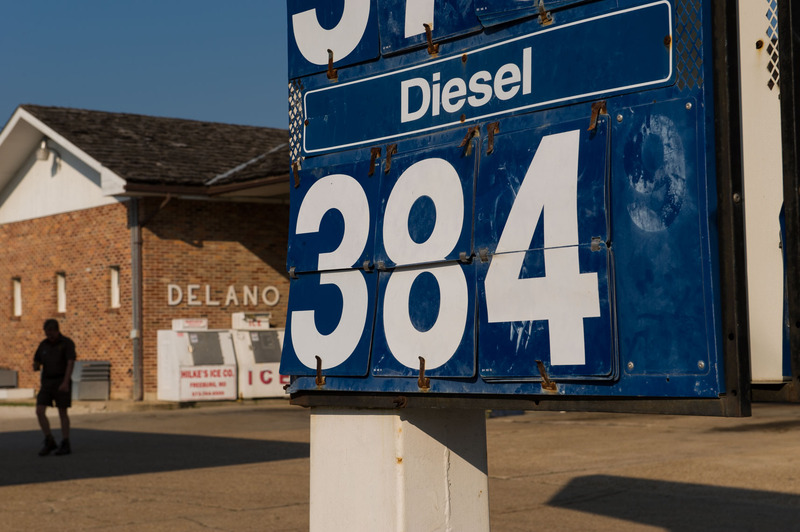 A sign at the gas station shows the current price of diesel. The company owns nine gas stations in the area. Two stations were recently closed due to lack of business, and another two may have the same destiny in the coming months. According to Jay, in a good year the company makes a profit of ten cents a gallon.